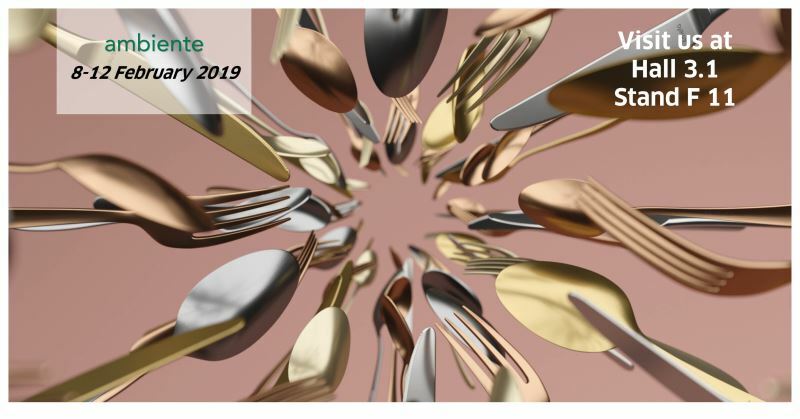 We would like to invite you to visit our Amefa stand at Ambiente Frankfurt 2019! More than ever before we are focusing on the very latest trends, featuring new cutlery and kitchen knife ranges, amazing cookware sets and a fabulous range of new steak knives. Whether you are active in retail, super/hypermarkets or the foodservice industry, we have brand new products which we’re sure you’ll fall in love with! In order to accommodate all our clients properly, we kindly request you to contact us to make an appointment and we will do our utmost to host you on the date and time requested.